Asm Rahman, one of the recipients of the inaugural SAALT ChangeMaker Awards, is profiled in the Detroit Free Press. Elected the President of the Hamtramck NAACP, Rahman is a lifelong supporter of civil rights and education. Check out the article here <http://www.freep.com/article/20090427/NEWS02/904270359/>. I had a chance to talk with Mr. Rahman about what motivated him to take a leadership role in the NAACP as well as what he envisions for the South Asian community nationally and in the Detroit area. Q: How did you get involved with the NAACP? A: After 9/11, I realized that many people in my community were unaware of their civil rights. They did not know why they should become citizens or that many were confronting post-9/11 racism. While Detroit was not affected like some areas with open harassment, they did go after many people, especially Middle Easterners, in a way that seemed related to race. When I first came to this country, I had learned about Martin Luther King, Jr and Frederick Douglas and such during February, Black History Month, at Hamtramck High School. I realized that after 9/11, we, as a community, need to learn about and join this movement for civil rights. For our community, we need to see that freedom did not come cheap and we have to respect the African American community’s contribution to our freedom. Q: What do you hope for your community, in Detroit and around the country? A: I hope that the community can come together and get involved about the issues that we face. 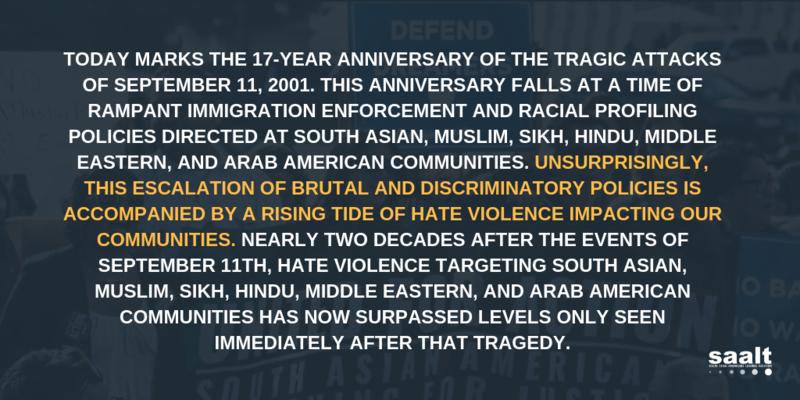 That’s why we formed BAPAC (Bangladeshi American Public Affairs Council). We saw that there were smaller organizations providing social services, but in terms of political engagement or civil rights, we were behind. Voting and politics are different in South Asia and it is important to educate our community about how the system works here. We run workshops like how to vote where we use a sample ballot to help Limited English Proficient or older voters navigate the process. The excitement that we saw during the Presidential elections must be maintained. This election was the first time I saw the Bangladeshi community getting involved in national politics. There was this sense that even if our votes did not count before, this time it will matter. My mother was watching the election like her son was running. Q: What do you think the community needs in order to become engaged? A: Firstly, I would say we need education and I do not mean just academics. We need to become familiar with the power structure. Knowing that can help us be prepared for emergencies, when people really need help. For instance, in terms of education, many immigrant parents do not know how they should get involved. By knowing what is already in place, community members can make a bigger impact on the issues that matter to them. Second, I would say it is leadership. This community needs leaders who really know what the problems are and how to address them. Ultimately, our numbers do not matter unless the numbers are doing something. 1.) South Asian Philanthropy Project: Live-Blogging at the SAALT Summit! 2.) Racewire: Asian Americans Increasingly Favorable of U.S.